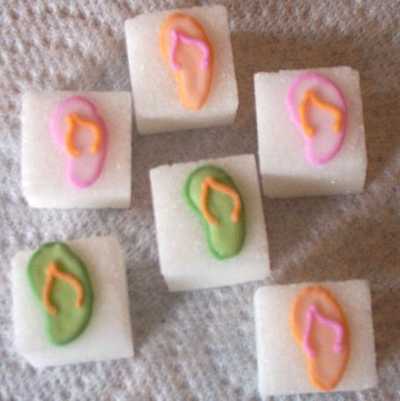 These Escape Concepts exclusive flip flop decorated sugar cubes are great for those tea parties on the beach or around the pool. They are make great gifts! They are in 3 assorted colors. Sold in increments of 10 or 100. Price is per set of 10 or 100. Great for beach bridal shower teas.